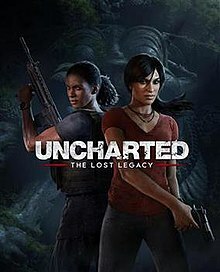 Uncharted: The Lost Legacy is an action-adventure game played from a third-person perspective, with platform game elements. Players use firearms, melee combat, and stealth to defend against the hostile enemies. Players control Chloe Frazer—a treasure hunter who is physically adept and is able to jump, sprint, climb, swim, swing and perform other acrobatic actions. Players traverse several environments, moving through locations including towns, buildings, and temples to advance through the game's story. Players use firearms, melee combat, and stealth to defend against the hostile enemies. Players also drive vehicles during some gameplay segments. Horizon Zero Dawn is an action role-playing game played from a third-person view. 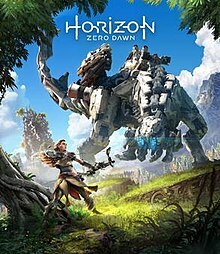 Players take control of Aloy, a hunter who ventures through a post-apocalyptic land ruled by robotic creatures. Aloy can kill enemies in a variety of ways: setting traps like tripwires using the Tripcaster, shooting them with arrows, using explosives, and a spear. Machine components, including electricity and the metal they are composed of, are vital to Aloy's survival; she can loot their remains for crafting resources. Ammo, resource satchels, pouches, quivers; resistance, antidotes, health potions, and traps can all be crafted. 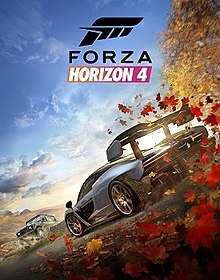 Forza Horizon 4 is a racing video game set in an open world environment based on a fictional representation of the United Kingdom and features over 450 licensed cars. The game features a route creator which enables players to create their own races. The game takes place in a synchronized shared world, compared to the AI-driven Drivatars from its predecessors, with each server supporting up to 72 players. The game is also playable in offline mode. 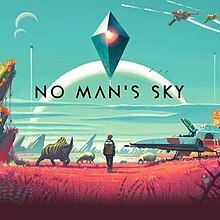 No Man's Sky is an action-adventure survival game played from a first or third person perspective that allows players to engage in four principal activities: exploration, survival, combat, and trading. The player takes the role of a specimen of alien humanoid planetary explorer, known in-game as the Traveller, in an uncharted universe. They start on a random planet near a crashed spacecraft at the edge of the galaxy and are equipped with a survival suit with a jetpack, and a "multitool" that can be used to scan, mine and collect resources as well as to attack or defend oneself from creatures and hostile forces. The player can collect, repair, and refuel the craft, allowing them to travel about the planet, between other planets and space stations in the local solar system, engage in space combat with alien factions, or make hyperspace jumps to other star systems. While the game is open-ended, the player may follow the guidance of the entity known as the Atlas to head towards the center of the galaxy. 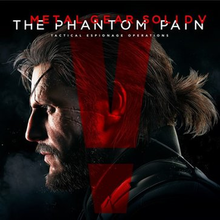 Metal Gear Solid V: The Phantom Pain is an action-adventure, stealth game in which players take the role of Punished "Venom" Snake from a third-person perspective in an open world environment. The gameplay elements were largely unchanged from Ground Zeroes, meaning that players will have to sneak from several points in the game world, avoiding enemy guards, and remaining undetected. Included in Snake's repertoire are binoculars, maps, a variety of weapons, explosives, and stealth-based items such as cardboard boxes and decoys. Following one of the series traditions, The Phantom Pain encourages players to progress through the game without killing, using non-lethal weapons such as tranquilizer darts to subdue enemies. Players may traverse the game world with vehicles such as jeeps and tanks, in addition to traveling on foot or on horseback, and as certain locations are mountainous, occasionally, players can opt to go rock climbing as a shortcut. They may call for helicopter support against enemy soldiers or request airstrikes that can bomb the target area or change the current weather. Snake can call on AI companions—including Quiet, a silent female sniper with supernatural abilities; D-Horse, a horse with a customizable saddle for carrying more equipment in the field; D-Walker, a manned, highly agile mobile weapons platform that can provide heavy weapons support; and D-Dog, a wolf pup raised and trained on the new Mother Base to assist him in the field. The companions' abilities and their effectiveness will depend on the player's relationship with them. There is a large emphasis based on tactics in The Phantom Pain.